The Wilson Kayaking Adventure is a guided kayaking tour that takes place on the scenic Conococheague Creek in Washington County, Maryland. 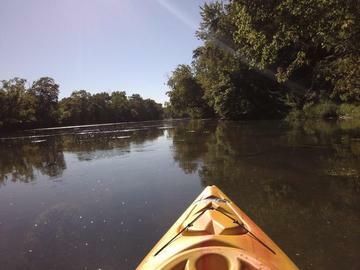 Kayakers on this route will enjoy beautiful views of wooded areas and surrounding farmlands. The route is navigable for both beginners and skilled kayakers.